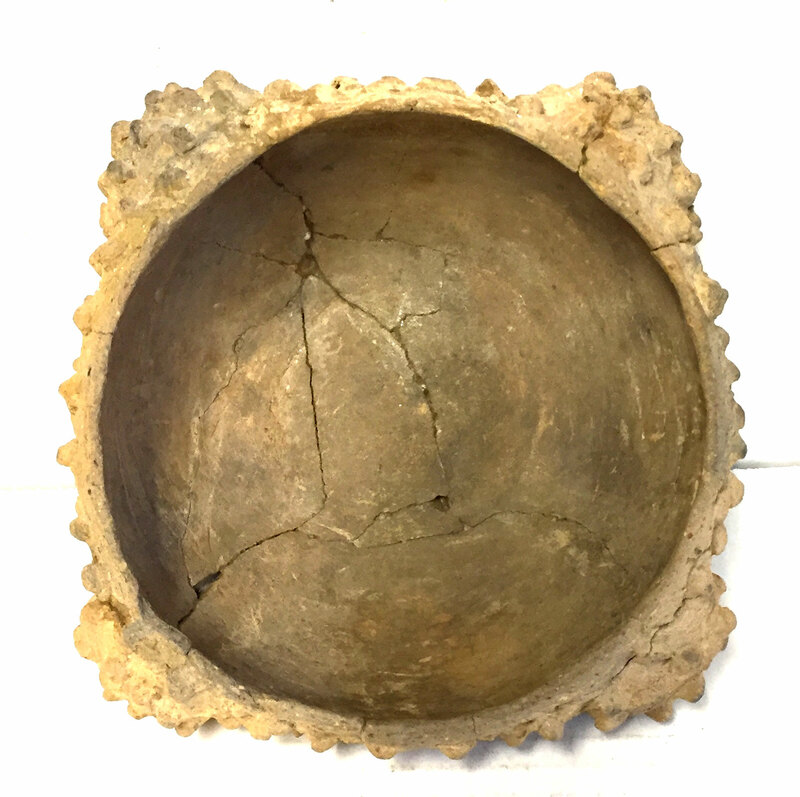 A Small Size, Visibly Aged, Typically Made, Mississippian Fortune Noded Rattle Bowl That Exhibits Visible Surface Coloration Aging And Clay Patination, Correct Overall Shape And Rattle Nodes, Correct Bottom Aged Use Wear, Visible Inside Bowl Aging And Deposits, Consistent Surface Aging, Correct Material And Manufacture For The Area Found. This Example Has Four Nodes Around The Bowl That Rattle And Fortune Noded Decoration. A Theory Is That The Rattle Bowls Were Used To Feed Children And Then Rattle The Bowl To Assist In Sleep. This Bowl Was Found In Pieces And Been Glued. Includes A Ken Partain Certificate Of Authenticity.